Saturday, Nov. 28, 2015 • 12 p.m.Williams-Brice Stadium • Columbia, S.C.
For parking at Williams-Brice Stadium, click HERE. For a seating map of Williams-Brice Stadium, click HERE. For directions to Williams-Brice Stadium, click HERE. 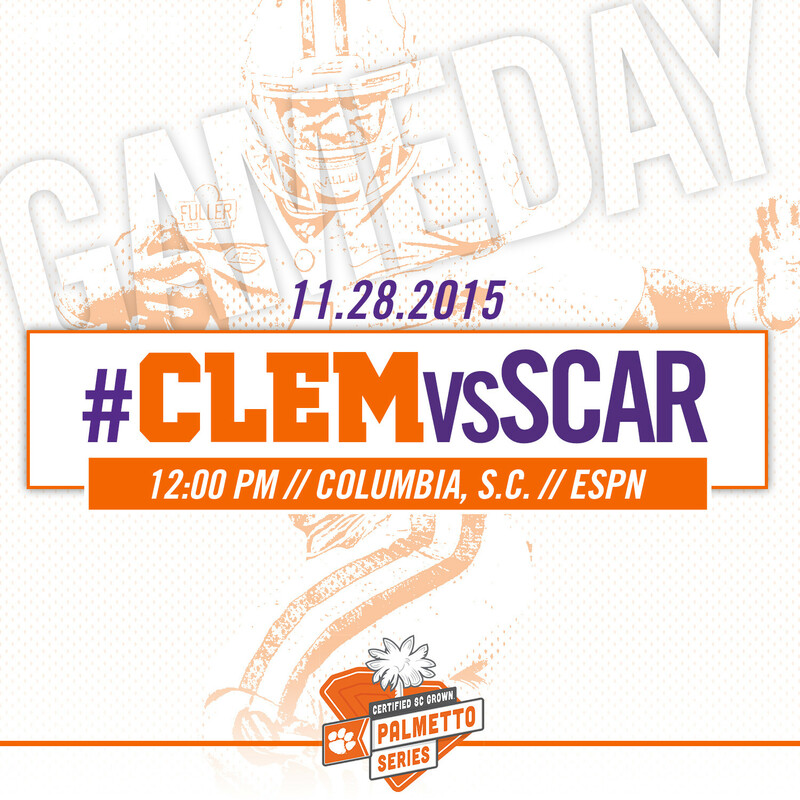 Clemson looks to conclude its first perfect regular season since 1981 on Saturday in Columbia. The Tigers own the nation’s longest active winning streak at 14 games, dating to last season. With a 33-13 win over Wake Forest to conclude a perfect 7-0 home season, the Tiger program earned its 700th victory. Clemson is tied for 22nd all-time in college football history with Arkansas at 700 wins. Eric Mac Lain has played in more wins (43) than any player in Clemson history. Deshaun Watson was named ACC Offensive Back of the Week after compiling 387 yards of total offense against the Demon Deacons. It was his league-high fourth weekly honor.